Inclusion Ministry at First Church? Creating a safe space that supports, uplifts, and provides an inclusive and barrier-free community for persons with disabilities who have otherwise felt excluded from full and active participation in a faith community. Actively encouraging persons with disabilities of all ages and backgrounds to use their God – given gifts to explore their spirituality and faith and abilities. Nurturing relationships and providing a safe space for people with disabilities to participate fully as equal and important members of God’s good creation. The Inclusion Ministry Program at First Presbyterian Church of Warren is a unique program that works directly with an inter-generational group of people from our congregation and our immediate community, the city of Warren. 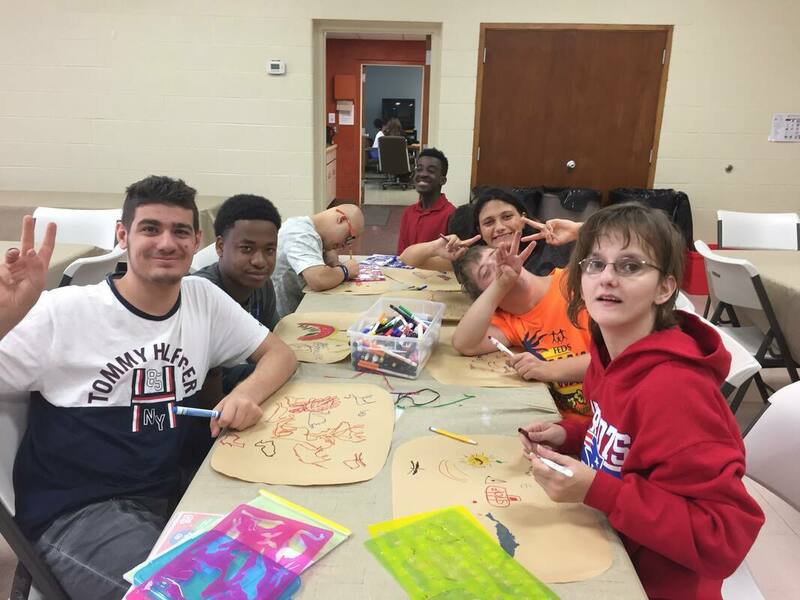 First Church has strengthened its programs for serving the low-income residents of the Presbyterian Village of Warren Glenn Senior Independent Living Community and the special needs students of Warren Consolidated Schools, Cousino High School and Sterling High School. The Inclusion Ministry Program at First Church is committed to providing ecumenical Spiritual Care to the residents of the Village of Warren Glenn. The Inclusion Ministry Program provides a connection to a faith community by bringing the faith community to them. This is accomplished by offering Worship Services, Bible study every week, a movie night once a month, Potlucks, Special Seminars, and pastoral visiting. The Inclusion Ministry Program works in collaboration with the Warren Consolidated Schools, MoCI Special Education Program at Cousino High and Sterling High School. These students work in the community at different types of jobs with the support of their teachers in order to gain real world work experience. First Church opened its doors for this opportunity in 2017. The students from Sterling High School come each week to clean and prepare the Sanctuary for Sunday worship. This year, they have been working with a church member who is a Master Gardener and now are doing landscaping for our church grounds and the grounds of the Village of Warren Glenn. The Cousino High School Students have more profound special needs but have just as great a desire to be in their community and doing a job. They also come once a week and work on collating and organizational tasks, as well as, art projects for the church. This year the assisted with the remembrance chains seen in our church during the November Presbytery meeting. The work that both groups of students perform, provides the students the opportunity to gain work experience in a safe and guided setting. Members of First Presbyterian Church of Warren, the residents of the Village of Warren Glenn, and the students from Cousino High School MoCI Special Education Program have formed a relationship that mutually mentors one another. Once a month, First Church members, students, and VWG plan a trip in the community to meet for fun, lunch, and most importantly fellowship with one another. These trips are so much more than just an outing. These trips provide a chance for the students to gain real world experience with people they trust. The students learn how to handle their own money, have appropriate interactions with strangers (store clerks and other staff), and the ability to their world outside of the four walls of their school or home. The VWG residents also have a chance to get out into their community, but they have the opportunity to feel and know they are needed. The First Church members get a chance to extend themselves past the walls of the church building in a fun and meaningful way. For more information fill out the Form below or contact Marijo Hockley, Inclusion Ministry Coordinator at First Presbyterian Church of Warren at (586) 751-1721.